Press Release - Say Hello to Sunshine with Blossom Kochhar Aroma Magic- All – Natural Mineral Line Sun Protection Range! - Glitter & Gorgeous!! 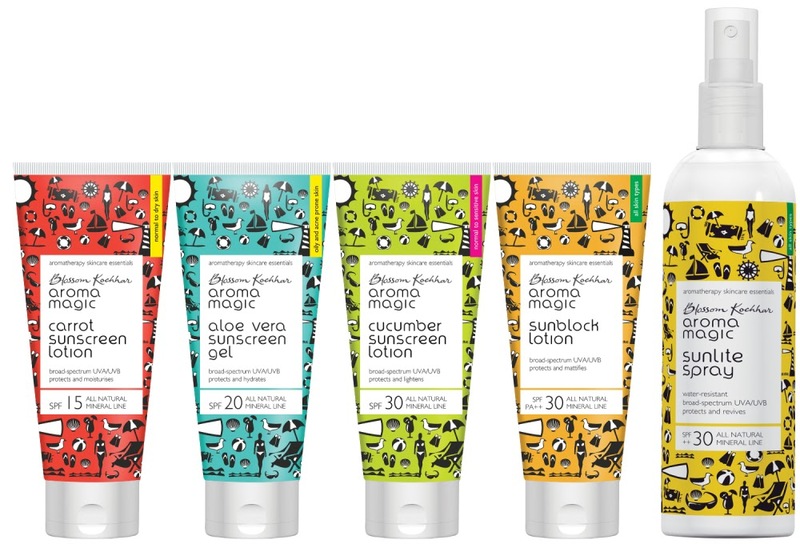 Press Release – Say Hello to Sunshine with Blossom Kochhar Aroma Magic- All – Natural Mineral Line Sun Protection Range! Blossom Kochhar Beauty Products Pvt Ltd (BKBP) launched its “All Natural Mineral Line” sun protection range today. This new range of sunscreens contains no harsh chemicals, benzoates, parabens, alcohol and artificial fragrance and is suitable for all ages. Blossom Kochhar Aroma Magic’s all-natural mineral line sunscreens is the clear choice for today’s discerning consumers primarily because of its safe and highly effective ingredient philosophy and eco-friendly packaging. The sun protection range is affordably priced between Rs 85 and Rs 290, catering to consumers across all segments and is available in retail outlets across the country. About Blossom Kochhar Beauty Products Pvt. Ltd.
Blossom Kochhar Beauty Products Pvt. Ltd (BKBP) was established in 1992 to manufacture and market aromatherapy oils and cosmetics under the brand name “BLOSSOM KOCHHAR AROMA MAGIC”. Today the company operates out of 9 cities, managed by more than 150 stockists and a large network of dealers. The AROMA MAGIC brand is manufactured in the company’s state of the art factories in Uttarakhand and Himachal Pradesh. Blossom Kochhar Aroma Magic enhances the lives of its customers through expert and customised beauty care solutions. The wide range includes Skin Care, Hair Care, Bath & Body Care, Essential Oils and Professional Products.